BOUQUET FLORIST will make any occasion special. 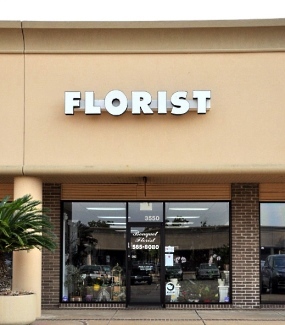 Proudly serving Sugar Land, Texas and the surrounding area since 1992, we're a full-service florist that is family-owned and operated. Our highly-trained staff is ready to assist you with placing orders for local delivery or anywhere in the world. Show your friends or family how much you really care with a stunning bouquet of fresh, vibrant flowers! We hope you enjoy your online shopping experience with secure 24-hour ordering right at your fingertips. If preferred, you may call us to place orders direct at 281-565-8080 or 1-800-365-2501. 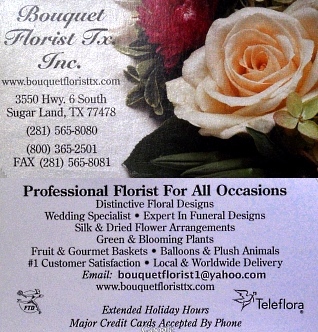 Located in Sugarland, Texas, Bouquet Florist is your choice for the best florist shop in town. 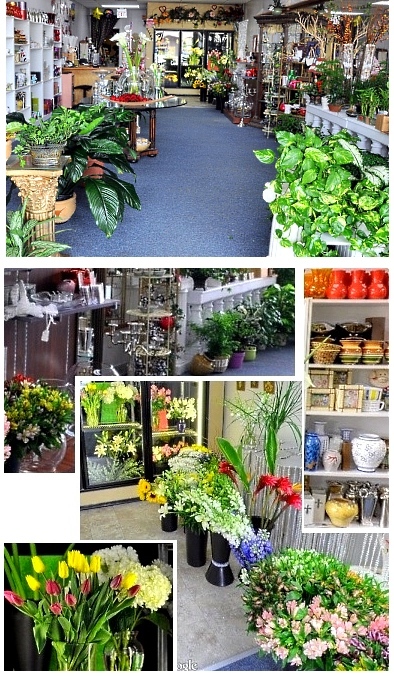 We specialize in fresh flowers, beautiful potted plants and Tropical floral designs to name a few. Order Wedding Flowers, Special Events and Party Flowers from BOUQUET FLORIST. We will ensure your special day is a blooming success!! Call us in advance at 281-565-8080 or 1-800-365-2501 to set up an appointment for a consultation. Call or visit us today… we look forward to meeting you! Thank you for visiting our website for flowers delivered fresh from a local SUGAR LAND, TX florist and easy online ordering available 24 hours a day.